Looking for an internship this fall? Interested in a career as a journalist? Good news! 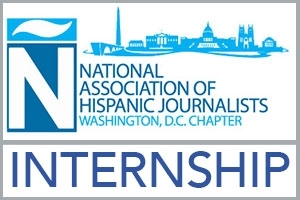 The NAHJ Washington, D.C. Chapter is accepting applications for the Fall 2016 Charlie Ericksen Journalism Internship Supplement. The organization will award one internship this fall to students who are interning at a Washington D.C. Area news outlet. The supplement provides the student with $465 for metro transportation to be put on a SmarTrip Card and $35 for NAHJ student membership dues (worth $500 total). The winner will also be matched with a mentor who works as a journalist in the DC area. If you qualify and you’re interested, download the application and criteria HERE and Email applications to nahjdc@gmail.com before Friday, October 7.